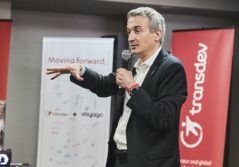 Transdev, operator and global integrator of daily mobility, and Mobike, world leader in free-floating bicycles, today announced the signature of an exclusive partnership to jointly market a range of bicycles without stations (free-floating) to French local authorities, complementary to the mobility solutions already operated by Transdev. This agreement aims for the first time to facilitate access by French local authorities, including those with a smaller population, to an offer of self-service bicycles with Mobike. This exclusive partnership combines Transdev's expertise in the design and management of multimodal mobility for cities and territories, and Mobike's expertise in the technology, user experience and operation of bicycle free-floating services in major cities (15 countries, over 200 cities). In Europe, Mobike is already present in Paris, as well as in Italy, the United Kingdom, Germany, Spain, the Netherlands and Albania. By joining forces, Transdev and Mobike wish to meet the strong demand from local authorities to be able to offer ecological and economic solutions: 70% of local authorities consider the development of soft transportation modes as a priority in terms of energy transition. From the first year, the two partners aim to market their Mobike bicycles in more than ten local authorities. Mobike relies on bicycles with a unique and patented design and proven robustness, an intelligent locking system and an easy-to-use mobile application to provide urban populations with an accessible, fast and convenient bike rental service when they need it. Based on their experience in the use of soft mobility, Transdev and Mobike offer an optimized solution for cities, more economical than solutions with stations, helping to solve the last mile problem in cities, and thus reducing pollution and congestion in urban areas. The calibration of the bicycle fleet according to the size of the cities also guarantees greater availability for the inhabitants and ultimately a concerted control of the urban landscapes. 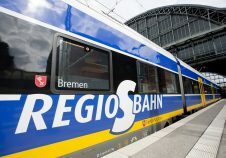 Beyond its traditional public transport businesses Transdev is committed to the energy transition and the deployment of soft transport modes. As such, the partnership with Mobike is a compelling offer in response to the strong demand for bicycles from our Public Transit Authority customers. For Transdev, it is also another step towards the integration of all daily mobilities. partnership should change the situation in this area. This partnership with Transdev is an important step in the development of Mobike in France. 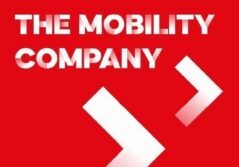 First and foremost, it is the recognition by the European mobility ecosystem of our unique expertise in the adoption, management and optimization of soft mobility through new technologies. It is also a sign of the acceleration of our deployment in France, alongside a leading company in intermodality, even before the first anniversary of our launch in France.